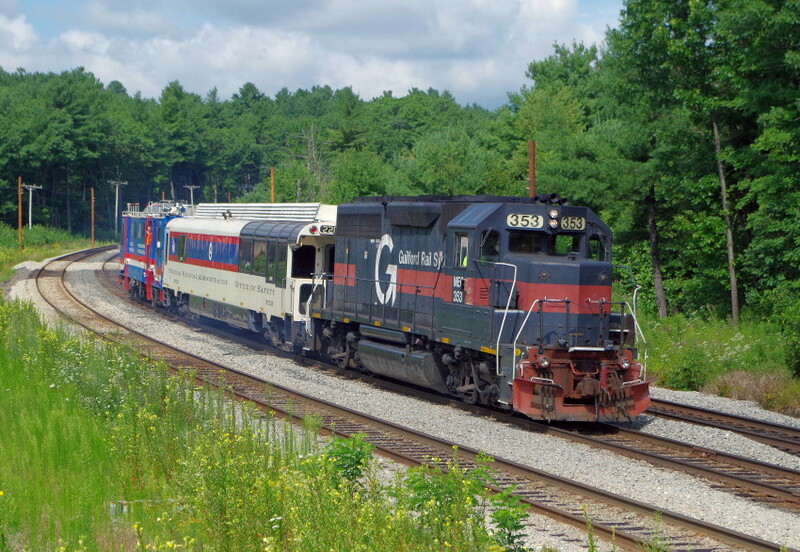 (10:25am) GP40 353, still in the Guilford paint scheme, leads the FRA Inspection Train down the hill at Wachusett as it heads east. Photographed by Bruce Macdonald, August 9, 2018. Added to the photo archive by Bruce Macdonald, August 9, 2018.